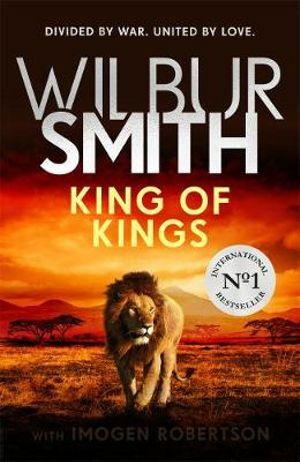 An epic story of love, betrayal, courage and war that brings together two of Wilbur Smith's greatest families in this long-awaited sequel to his worldwide bestseller, The Triumph of the Sun. Cairo, 1887. A beautiful September day. Pernod Ballantyne and his fiancee, Amber Benbrook, stroll hand in hand. The future is theirs for the taking. But when Penrod’s jealous former lover, Lady Agatha, plants doubt about his character, Amber leaves him and travels to the wilds of Abyssinia with her twin sister, Saffron, and her adventurer husband, Ryder Courtney. On a mission to establish a silver mine, they make the dangerous journey to the new capital of Addis Ababa, where they are welcomed by Menelik, the King of Kings. But Italy has designs on Abyssinia, and there are rumours of a plan to invade . . .
Back in Cairo, a devastated Penrod seeks oblivion in the city’s opium dens. When he is rescued by his old friend, Lorenzo De Fonseca, now in the Italian army, and offered the chance to assess the situation around the Abyssinian border, Penrod leaps at the chance of action. With storm clouds gathering, and on opposing sides of the invasion, can Penrod and Amber find their way back to one another – against all the odds? 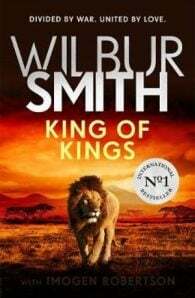 Wilbur Smith was born in Central Africa in 1933. He was educated at Michaelhouse and Rhodes University. After the successful publication of When the Lion Feeds in 1964 he became a full-time writer, and has since written 30 novels, all meticulously researched on his numerous expeditions worldwide. His books have been translated into 26 different languages.